We got into something of a debate recently. Votes were called, arguments levied, there may have been name-calling. If you read our Top 10 Alternative Santa list last week you may have noticed Jack Skellington got busted down to honourable mentions. That was not the end of the debate, so we come to you, fair readers, with a burning question. Is “The Nightmare Before Christmas” Geeky? The new classic Christmas film was originally released in 1993, re-released to the big screen several times over the last 21 years, and it certainly enjoyed the kind of success one would expect from a Tim Burton project. However, the film has actually gained in popularity since it’s initial release, fairly cementing it amongst other cult films, and cult cinema is nothing if not a geeky pursuit. Much early sci-fi and horror became popular long after initial release, and the rise in anime fandom in the west has it’s roots in cult followings. Only recently have we enjoyed blockbuster productions catered to “our” market. Tim Burton also has a solid and devoted fanbase, of which many are obsessive enough to make studies of the films, down to the more intricate details of the cast and crew, search for patterns and commonalities amongst his works. Definitely geeky habits. Burtoneers frequently cosplay as Nightmare Before Christmas characters at conventions (as well as Corpse Bride, Frankenweenie and others). I maintain that geek culture embraces Nightmare, and so should the prosecution. To say that Tim Burton doesn’t have a devoted fanbase is ridiculous, especially since said studies of the films certainly do exist. However, this means then that we must now associate Shakespeare with geek culture. Perhaps there is a more geeky side, from the fanbase, but we’re once again back to square one! We’ve got the issue that the fans have made the subject what it is, not that the subject is actually intending to drive towards geek culture. It’s certainly true that there is a satisfyingly large audience for this film who are into geek culture… But see, this is part of the reason why it’s not geeky. So some people cosplay characters from a series, no worries that the fans are geeky there! 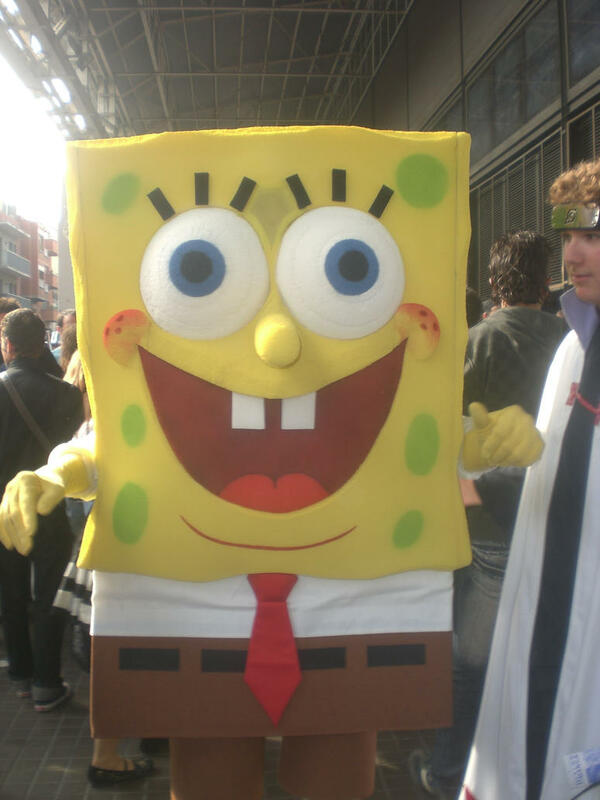 Some people cosplay Spongebob Squarepants. 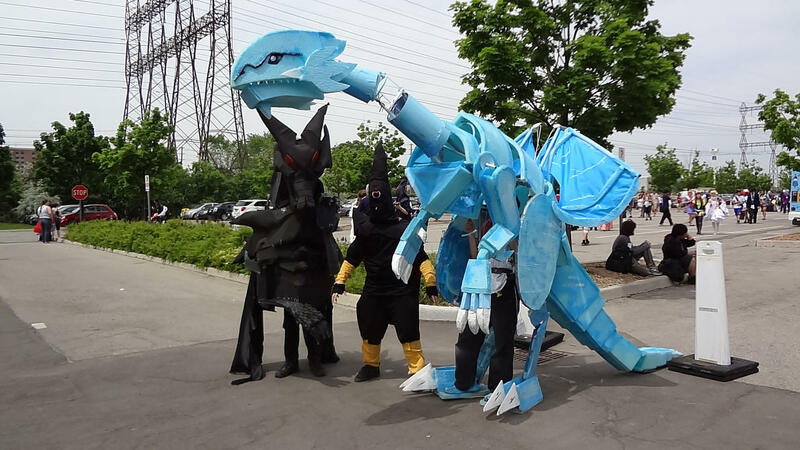 Some people cosplay dragons and fairies. 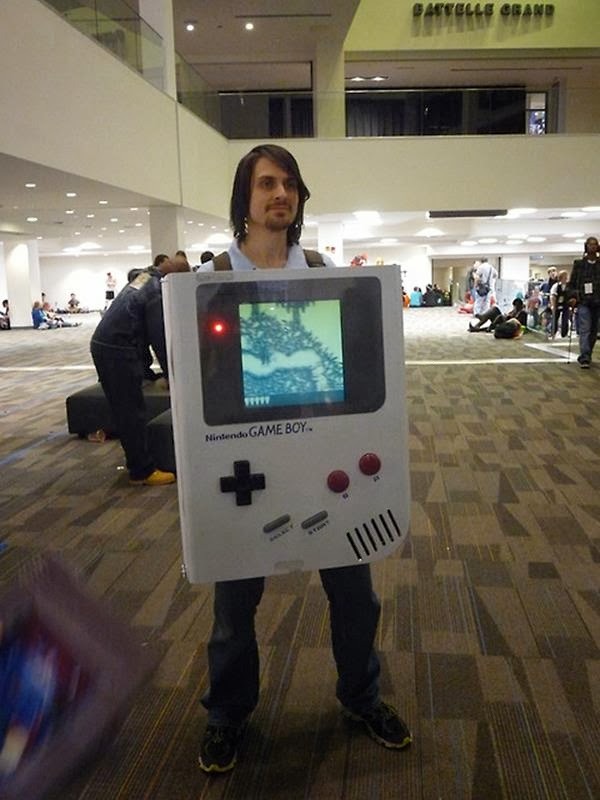 Some people cosplay a Gameboy. The underlying line here is that the geek culture aspect of Nightmare Before Christmas is certainly not the film itself but the fans. Furthermore, I don’t see why something having gained fans later in time is at all relevant to becoming a geeky thing. 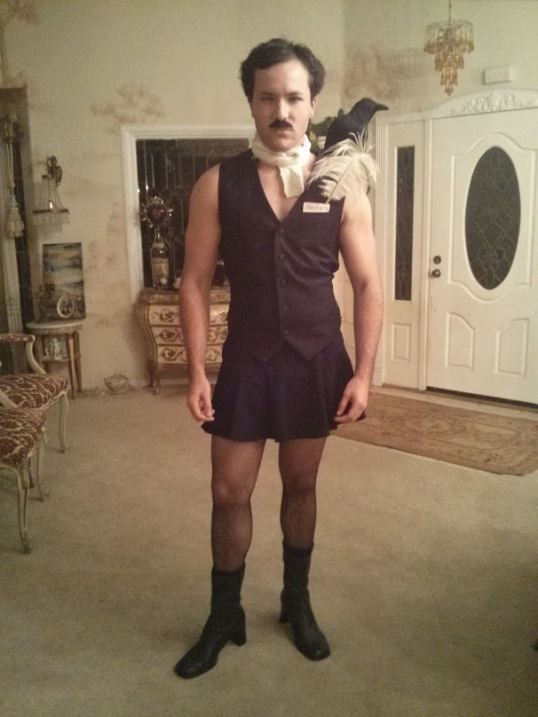 After all, Poet Edgar Allen Poe certainly was not celebrated during his life. It wasn’t until all of his works were uncovered and fans of his works did studies did anything truly significant become of his works. Even he has been cosplayed!! People make things what they are. Jubal Early put it best “Does the room itself have purpose? Or do we imbue?” Are trains nerdy? Yes, because so many train-spotters went on to create model sets for collectors. Did the creator intend for stamps to be the pursuit of obsessive collectors? Of course not, but there’s no question that a flourishing geek culture has sprung up around them. People can be nerdy about art, literature, and film. More specifically The Nightmare Before Christmas now has a directed market (in the same way that trains do) with companies like Qwertee producing Nightmare t-shirts alongside more blatantly geeky things such as Batman, Lord of the Rings, Zelda and so on. So, because some fans are geeky, we must define anything that a geeky fan watches as a geek thing? What’s next, are we going to imply that EastEnders is part of geek culture? (Thank you for this amazing post DenofGeek!) Okay, so what else are we going to say: There are geeky fans of Professional Wrestling. We can Geek Out Hard about Pro Wrestling. Therefore the product itself is entirely geeky and all of the Sports Fans who watch Pro Wrestling are now instantly geeky? We can see how ridiculous the notion of a fan is geeky, therefore the product immediately becomes geeky? The point of this article I believed was to question whether or not The Nightmare Before Christmas was geeky, not if it has a geeky fanbase. If we spun this question to “Does The Nightmare Before Christmas appeal to fans of geek culture”, the answer would be an immediately “of course it does!” Sadly, that’s not the question: We’re asking if The Nightmare Before Christmas is geeky! It’s written up there in the damn title! So where do you stand. Is the Nightmare Before Christmas geeky? Moreover, is it the fans that make that distinction, or must the thing itself be the only deciding factor? 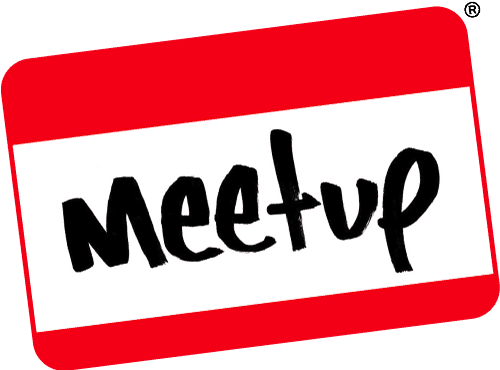 And how do we determine what makes content geeky? We put it to you! Cast the deciding vote! This entry was posted on December 23, 2014 by GeekOut Team. It was filed under Entertainment, Geek Rants, GeekOut discussion and was tagged with Cosplay, Discussion, Fandom, Fans, film, Geek, Geek Culture, GeekOut, Is it geek?, Movies, Nightmare Before Christmas, Tim Burton.